Washer: Check laundry off your to-do list sooner with the Whirlpool 4.3 Cu. 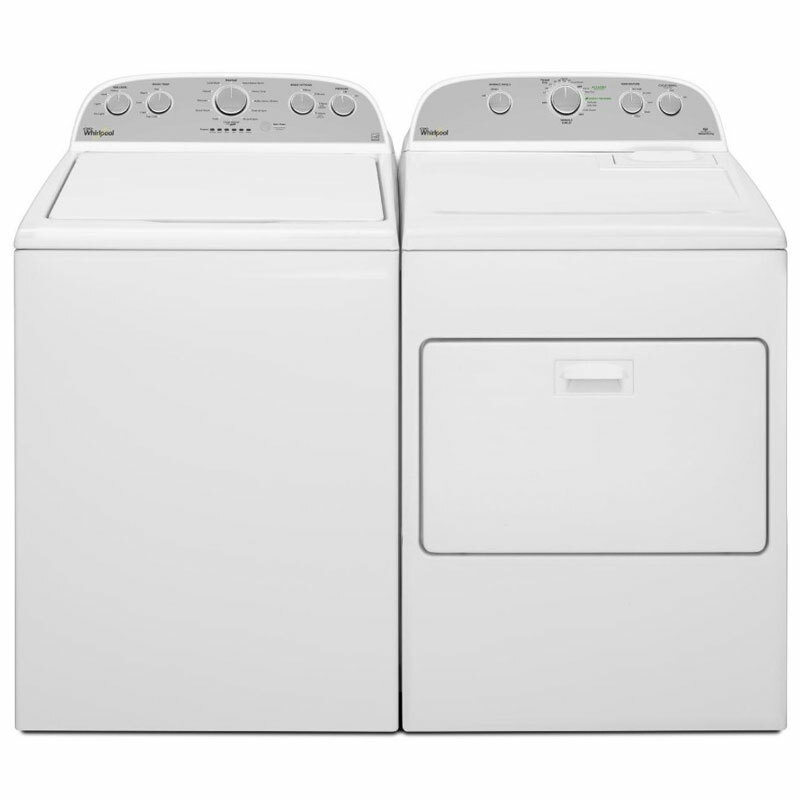 Ft. Top Load Washer-capable of tackling more than two baskets of dirty laundry at a time! This model automatically adjusts water levels according to the size of each load, and its Quick Wash cycle needs no more than 28 minutes to scrub and rinse small loads. In total, this washer provides 12 cycle types for customizable fabric care! Dryer: Thoroughly dry your laundry the first time around with the Whirlpool 7.0 Cu. Ft. Electric Dryer, featuring ACCUDRY sensor technology. This model measures moisture levels to determine when to end each cycle preventing under and over-drying in the process. It features 13 dry cycles, handles large loads with ease and its drum sports a powder-coat finish to protect your clothing from snags.